If your game collection could only include 10 games, these are the games we would choose. They represent a variety of game genres (abstract, designer, party, word, and more), handle just about any number of players, and generally have excellent replay value. For 3 to 4 players, ages 10 and up. Designed by Klaus Teuber, published by Mayfair Games. 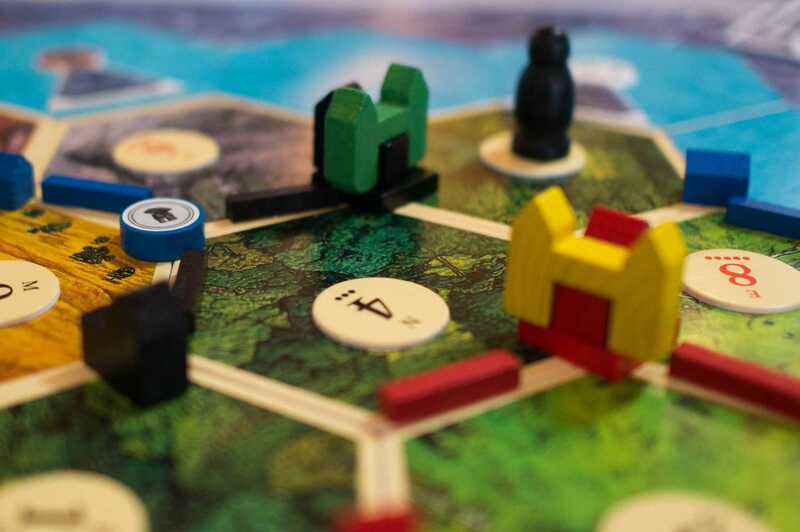 The first designer game which caught widespread attention in America, Settlers of Catan is a true masterpiece of game design. A random board layout ensures that every game is different, and there's a fine balance between skill and luck. Players compete to collect resources and use them to build roads, settlements, and cities. Several game expansions are available. If you've never played, you owe it to yourself to give Settlers a try. For 2 to 4 players, ages 10 and up. Designed by Alfred M. Butts, published by Hasbro. Some players study Scrabble like Garry Kasparov studies Chess, but that's not necessary to have fun. 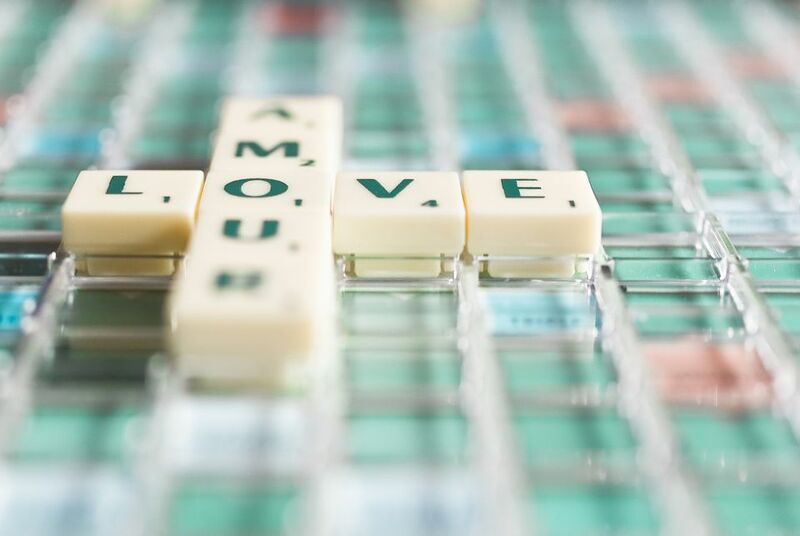 It's a strong choice to satisfy any word lovers who wander by for a game or two. The deluxe edition boasts several worthwhile features, including a board that spins and holds letters in place. For 3 to 5 players, ages 12 and up. Designed by Andreas Seyfarth, published by Rio Grande Games. This is a deep strategy game in which players can follow various paths to victory. Players compete to be the best at growing corn, indigo, coffee, sugar and/or tobacco—and getting their products on the ships. Each round, players choose from a variety of available roles (e.g. builder, mayor, settler) to help achieve their goals. For 2 to 5 players, ages 10 and up. Designed by Reiner Knizia, published by Uberplay. Hasbro first published this delightful game in Germany, and Uberplay has republished it as Hollywood Blockbuster in the U.S. The name translates to Dream Factory, and it's an auction game about making movies. Players compete to hire actors, directors and crew members to make Hollywood films. For 4 to 10 players (best with 6 or 8 players), ages 12 and up. Designed by Peter Sarrett, published by R&R Games. Players compete in teams of two over three rounds of increasing difficulty to identify the same set of celebrities. It's not as easy as it sounds, and it's hilarious. Time's Up! won a Mensa Best Mind Games Award in 2000. For 3 to 6 players (best with 5 or 6 players), ages 12 and up. Designed by Sid Sackson, published by Face 2 Face Games. A great game of wheeling and dealing, I'm the Boss was published in English for the first time in 2003. As players move around the board, they try to put together deals—but need help from their opponents to do so. Adding to the fun is the fact that those opponents not being included in the deal can send would-be deal-makers out of town, or even take over control of the deal by playing an "I'm the Boss" card. Great fun, as long as it's not taken too seriously. For 2 to 4 players, ages 10 and up. Designed by Craig Van Ness, Rob Daviau and Stephen Baker, published by Hasbro. HeroScape's subtitle is "The Battle of All Time" and it certainly is. Everything about this game is well done: the figures, the terrain, the rules, the scenarios. The fun starts by setting up your battlefield. The interlocking terrain pieces can be assembled in a practically infinite number of combinations. Players then draft armies—choosing from dinosaurs, robots, samurai, and more. In our mind, HeroScape rates as the ultimate battle game. For 2 players, ages 8 and up. Public domain game. Some players spend their entire lives trying to master Chess. And having an 8x8 game board in your collection is always good (you can also play Checkers, Robo Battle Pigs, and many others). For 3 to 8 players, ages 10 and up. Designed by Aaron Weissblum and Pitt Crandlemire, published by R&R Games. Smarty Party is the most fun trivia game we've ever played. It keeps everyone involved constantly, and it can appeal even to those whose brains aren't packed with minutiae. One player reads and others answer questions with multiple answers. For example, players may name U.S. states bordering the Mississippi River. The clever scoring system almost guarantees every game will be close. For 3 to 6 players, ages 10 and up. Designed by Bruno Faidutti and Serge Laget, published by Days of Wonder. Mystery of the Abbey is a good deduction game to have along. Who killed Brother Adelmo? That's the question players try to solve in this deduction game, which encourages players to make revelations ("the killer is thin") along the path to making a straight-up accusation ("the killer is Father William"). Discover the Best Spy-themed Board and Card Games.